Hey guys I live in Manhattan KS, its only a few minutes from Randolph, and awesome little town by Tuttle Creek Lake here, which has a pretty great ORV Park with paths suitable for any kind of Jeep, even 4 wheelers. It's snowy out lately, anyone wanna get together and make a trip? Would definitely be interested in this. 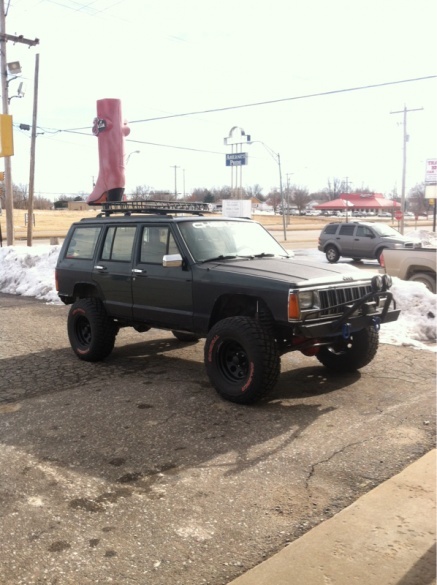 I just got my XJ last year so not quite ready for anything too extreme, but I think she can handle some light duty trails. Haven't been on the forum lately, just hopped on and saw this. I'm down to go whenever. I'm in Abilene. Quick Reply: Randolph KS ORV PARK!! !